It’s true: there’s no place like home. It’s where you can retreat to find comfort, relaxation, peace of mind, safety, and so much more. That is, unless you have mold. Even a small amount in your living room or basement can cause great unease, and for good reason. This is because mold can greatly impact your health, not to mention it can cause structural damage to your home. 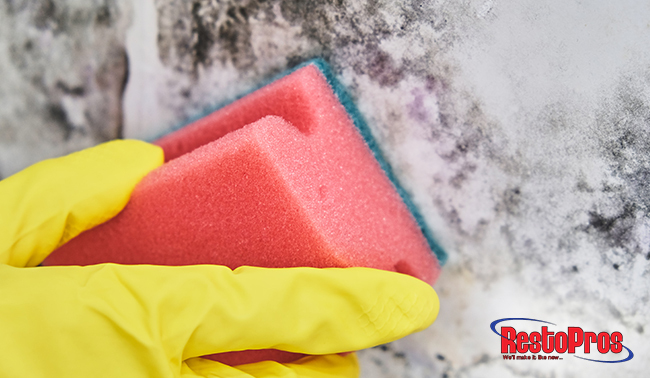 While not every species of mold out there is toxic, any amount found in your home should be treated immediately. Due to the harmful of effects of mold, waiting will only lead to further problems. Your overall health permeates into all the other parts of your life. When you don’t feel good, it can be hard to perform even simple tasks. If you want to breathe easy again and restore your health, we recommend having your home tested for mold right away. Our licensed, experienced technicians use proven methods to locate and permanently remove mold. Does Your Home Have Dust Mites? Dust mites are a common trigger of allergies and asthma, and if you have mold in your home, it’s possible you also have dust mites. These tiny creatures, measuring roughly one-quarter to one-third of a millimeter, thrive in damp, humid areas, and can wreak havoc on your health. Their feces contain more than 15 aggressive allergens that can trigger allergic reactions. To get rid of dust mites in your home, you need to attack the source of the problem, which could be excess moisture or mold. Check out this article from the Asthma and Allergy Foundation of America to learn how you can help reduce their presence. Mold loves to feed on wood, fabrics, and papers. It can eat away at anything from wallpapers, ceiling tiles and floorboards to carpets, drywall and wooden studs. If left untreated, you could be dealing with collapsed ceilings or caved in floorboards. When the growth is widespread, some contaminated items such as mattresses, carpet or insulation might need to be replaced rather than restored. If you come across mold, don’t panic just yet. It doesn’t mean your house will fall down with you inside it. However, if you want to safeguard your home, you need to begin the removal process right away and put measures in place to prevent a return. Restore comfort and safety to your home by scheduling an appointment with the trusted professionals at RestoPros. To learn more about our high-quality mold testing and removal services, give us a call at (855) 587-3786.